Due to the heavy rainfall, the Suffolk County Department of Health Services has issued an advisory against bathing at 64 beaches. Update - August 12, 2015 - Great Pond at Peconic Dunes Camp in Peconic is closed due to the finding of bacteria at levels that exceed New York State standards. 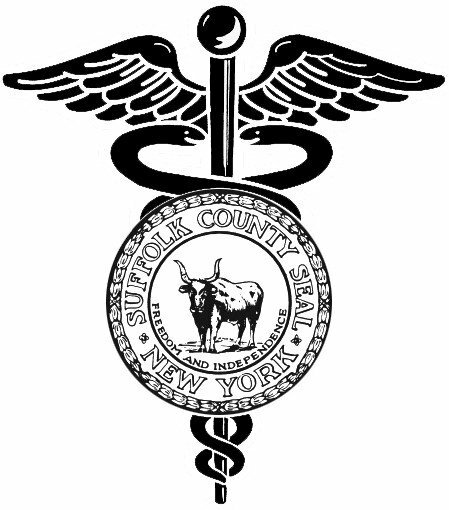 According to Suffolk County Commissioner of Health Dr. James Tomarken, bathing in water contaminated with bacteria can result in gastrointestinal illness, as well as infections of the eyes, ears, nose, and throat. Additionally, the bathing advisory issued on Tuesday, August 11, will be lifted Thursday morning, as waters will have been flushed by two successive tidal cycles. For the latest information on regulated beaches, call the Bathing Beach HOTLINE at 852-5822, contact the Department's Office of Ecology at 852-5760 during normal business hours, or visit the website at Suffolk County Beaches. The bathing advisory issued August 11, 2015 is below. Suffolk County, NY - August 11, 2015 - Due to the heavy rainfall, the Suffolk County Department of Health Services has issued an advisory against bathing at 64 beaches. The advisory is based on the potential for the presence of bacteria at levels that exceed New York State standards. The beaches covered by the advisory are located in areas that are heavily influenced by stormwater runoff from the surrounding watersheds and/or adjacent tributaries and, because of their location in an enclosed embayment, experience limited tidal flushing. The department recommends that bathing and other water contact be suspended in affected areas until the waters have been flushed by two successive tidal cycles (at least a 24 hour period) after the cessation of rainfall. This advisory will be lifted on the morning of Thursday, August 13, 2015, unless beach water samples reveal elevated levels of bacteria persisting beyond the 24-hour period. For the latest information on affected beaches, call the Bathing Beach HOTLINE at 852-5822, contact the department's Office of Ecology at 852-5760 during normal business hours, or visit Suffolk County Department of Health Services beach monitoring webpage. Subject: LongIsland.com - Your Name sent you Article details of "UPDATE - Great Pond at Peconic Dunes Camp Closed to Bathing, Bathing Advisory Issued on Aug. 11 to Be Lifted Thursday"